Faliero Masi and his son Alberto Masi, are legendary icons of the Italian bike handscrafting. They have been prefered builder for many stars in the pro-cycling peloton. 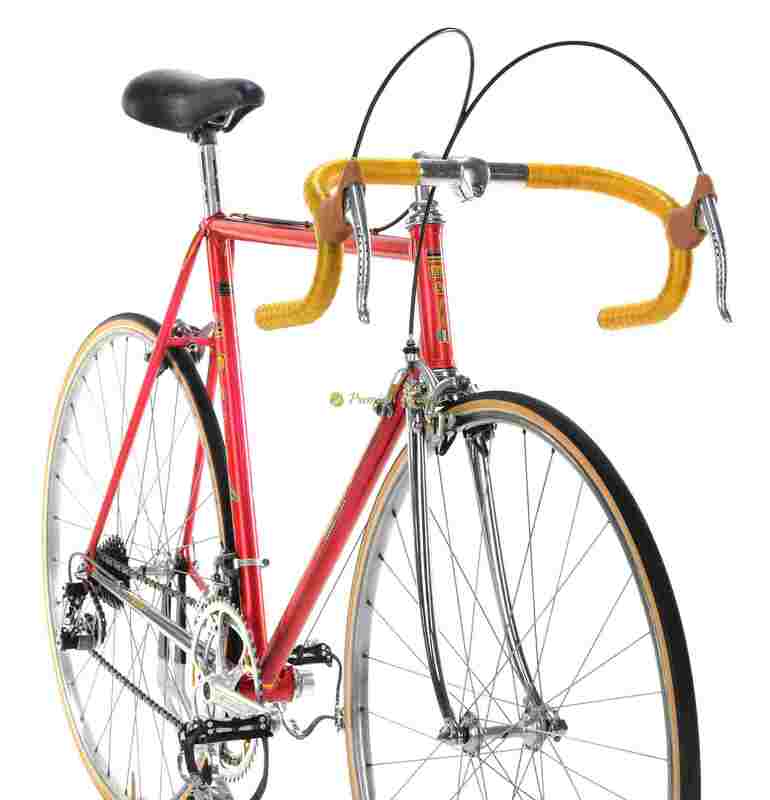 Faliero Masi was handcrafting frames at the Vigorelli Velodrome in Milan in the 1950s, after a career as a professional racer and team mechanic. Alberto Masi was born June 3rd 1943 in Sesto Fiorentino, Italy. At age 16, he was Fausto Coppi’s mechanic at the Giro d’Italia. In 1973 Alberto took over the Vigorelli shop, while Faliero and two assistants went to the US and began production at a new facility in Carlsbad, California. A few years later, Faliero returned back to Italy. The Prestige is one of the most appreciated Italian bikes, launched in 1975, handmade in Masi’s famous workshop at the Vigorelli velodrome in Milan, Italy. 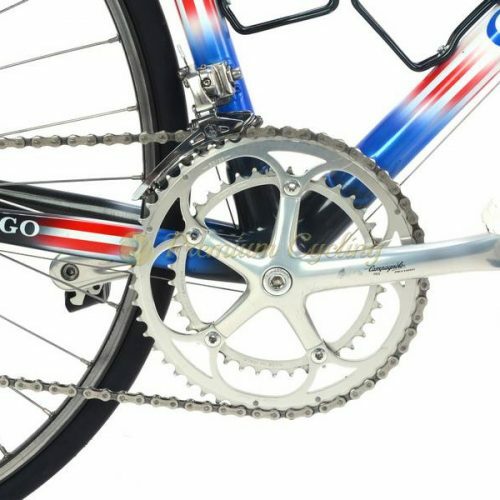 Like all Masi’s frames also this one shows extraordinray details like large ”M” cut-out from underside of bottom bracket shell and lugs which were carefully filled and customized for highest performance. Proudly presenting one of the most beautiful bikes in our store, the MASI Prestige. This highly collectible jewel dates back to 1977 and is one very earlier Prestige bikes. Extraordinary details of lugs, tubes and cut-outs makes you understand why most of the top cyclist in 1960s/70s were racing with bikes made by ”The Tailor”. The frame shines in original metallic red color, very likely made of Columbus SL tubing (Masi never told exactly what tubes he used), fully built with Campagnolo Super Record groupset, Masi pantograph 3ttt cockpit, NiSi rims. The trandescent beauty of this steel icon remains unrivalled. Condition: Used, but good condition. The frame has no cracks, no dents and is not bend. Some signs of normal use, some tiny touch-ups here and there. Original paint and decals. Groupset is in good condition. All parts are working fine.